Explore the natural beauty of genuine hardwood. Hardwood floors have been in homes for centuries, and they remain as popular and modern today as ever. 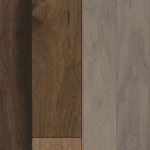 A stylish and versatile solution, hardwood flooring features natural strength and style. Each plank is embedded with individual grains and knots that make your floor a truly unique piece of art. With the proper care, the character and charm of a natural hardwood floor will last for many decades. Bassett Carpets is your leading source for hardwood floors in Longmont, Boulder County and the surrounding areas. Many of our customers take pride in supporting local businesses, and some prefer products made from domestic hardwoods – those species grown in the US. Common domestic hardwood which include high quality wood such as maple, oak, American cherry, American walnut, pine and hickory trees are grown here on American soil. If you’re looking for something more eccentric, some common choices include mahogany, bamboo, Brazilian cherry and Brazilian walnut. None of these species lists are all-inclusive, but you’ll find many of them in our Longmont showroom! 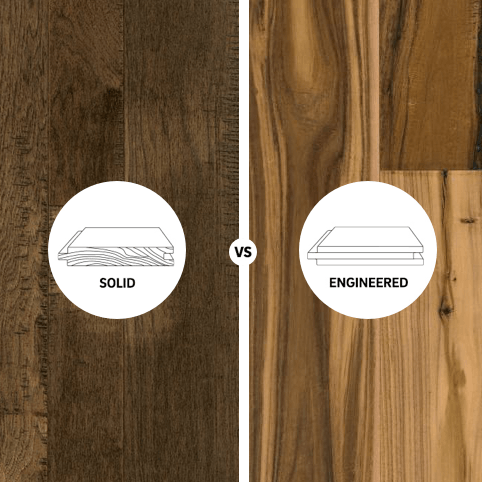 Yet another distinction is the difference between solid and engineered hardwood floors. Solid hardwood is what is traditionally thought of as typical hardwood flooring. As you might guess from the name, each plank is solid, manufactured from a single piece of harvested wood. 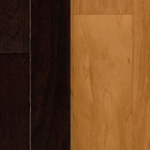 Solid hardwood planks are usually ¾-inch thick, allowing for repeated refinishing over the lifetime of the floors. Engineered hardwood, on the other hand, is manufactured using several pieces of wood layered together into a single plank. Typically, this plank will consist of a thin piece of solid hardwood on top of a thicker layer of high-quality plywood or other wood composite. Because the surface layer is so thin, engineered wood can only be sanded once or twice before needing to be replaced completely. One especially sophisticated look that you can achieve with hardwood is the appearance of a naturally worn-in antique floor – even if the floor itself is brand new! 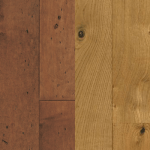 Certain manufacturing processes can give hardwood the look of reclaimed wood – a style that is much sought-after, but not always easy to obtain. Best of all, these modern techniques bring the price of distressed wood looks down significantly, while adding another layer of personalization by allowing shoppers to narrow down the exact wood color, species and look they want right out of the box. You’ll find distressed hardwood floors in looks such as hand-scraped and wire-brushed, both of which are perfect for farmhouse, rustic or country-inspired home designs. 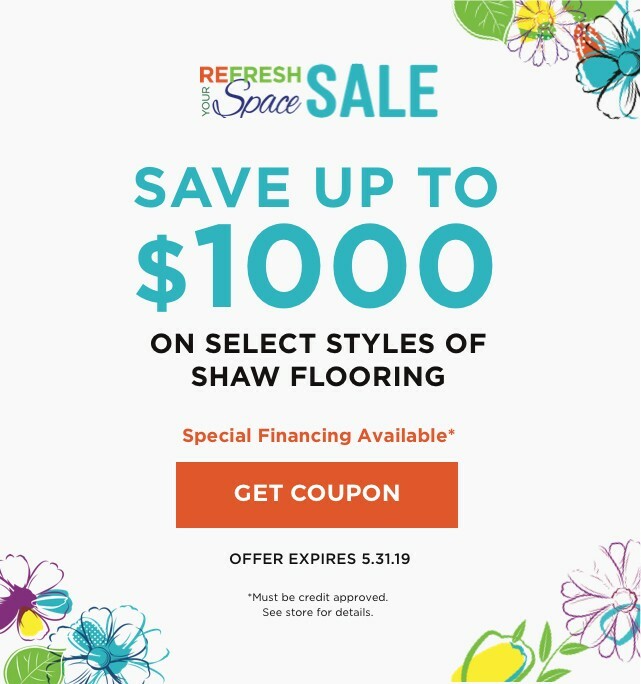 Talk to our local Longmont flooring experts here at Bassett Carpets and learn more about the differences between each unique style! Do you need underlayment for hardwood floors? The final piece of the hardwood puzzle is also the first one – underlayment, laid down before your floors are even installed. This element plays a critical role in the health and performance of your hardwood floors. Underlayment is not technically necessary, and there may be some scenarios in which you shouldn’t use it – but generally, we’ll always recommend it. Why? 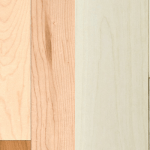 If you still have questions about hardwood flooring, we’re here! Feel free to contact us online or bring your questions to our experts at the Bassett Carpets showroom in Longmont, CO!